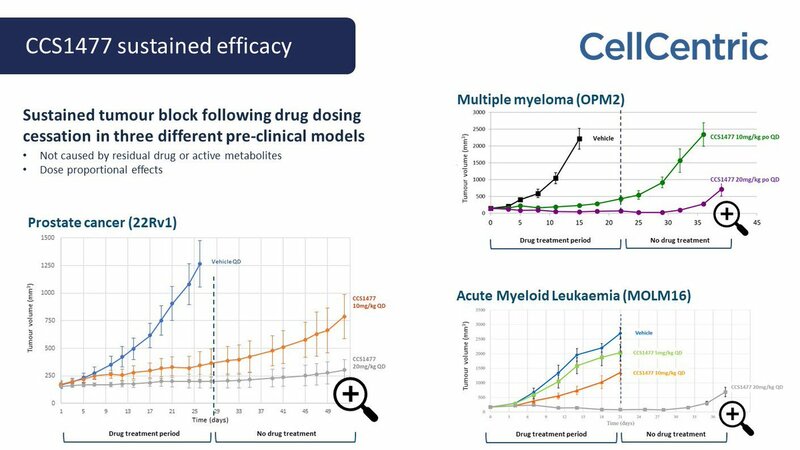 CellCentric is a privately held, UK company with Morningside Venture Investments as its majority shareholder, who provided the latest $26m to take CCS1477 into the clinic for multiple indications. Other earlier research funding came from Providence Investment Company, Takeda Ventures, UK Innovation Science & Seed Fund, Avlar, NESTA and the University of Cambridge. CellCentric has also benefited from significant non-dilutive financial awards, including from UKRI/InnovateUK’s Biomedical Catalyst programme.